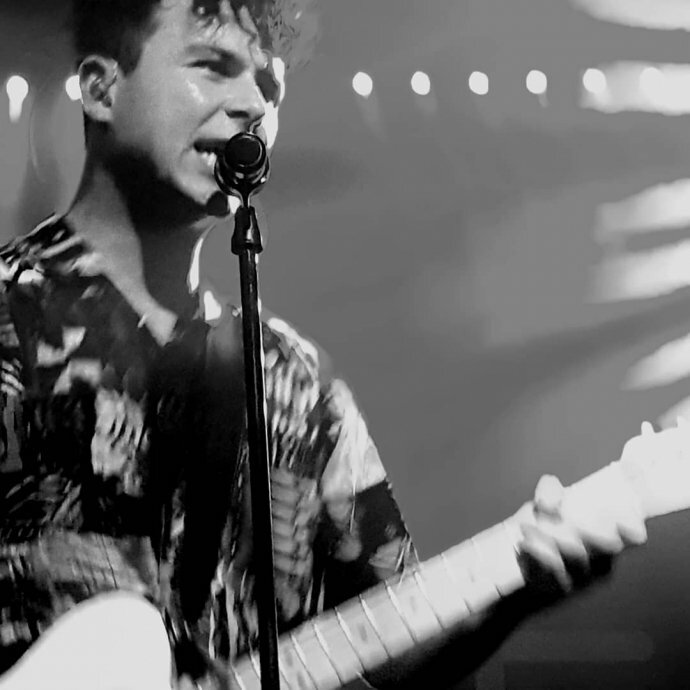 After a successful stint with Frank Turner earlier on in the year, Arkells have returned to the UK for their very own headline tour in support of their fifth album Rally Cry. Bristol’s Fleece was not only the first night of the tour; it was also their first time headlining a show there. 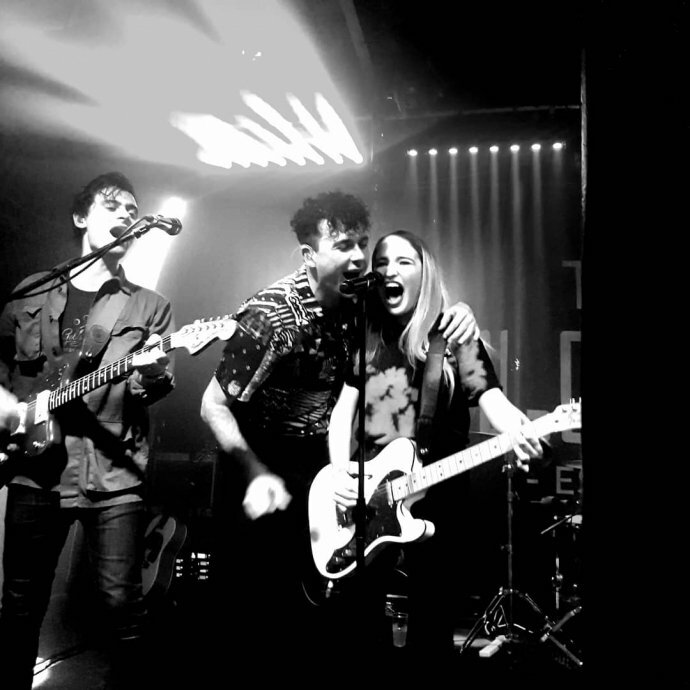 This was HTF’s first Arkells gig outside of London, where the audience is usually made up of 80% Canadians delighted to have the chance to see one of their country’s finest rock bands in a London basement. 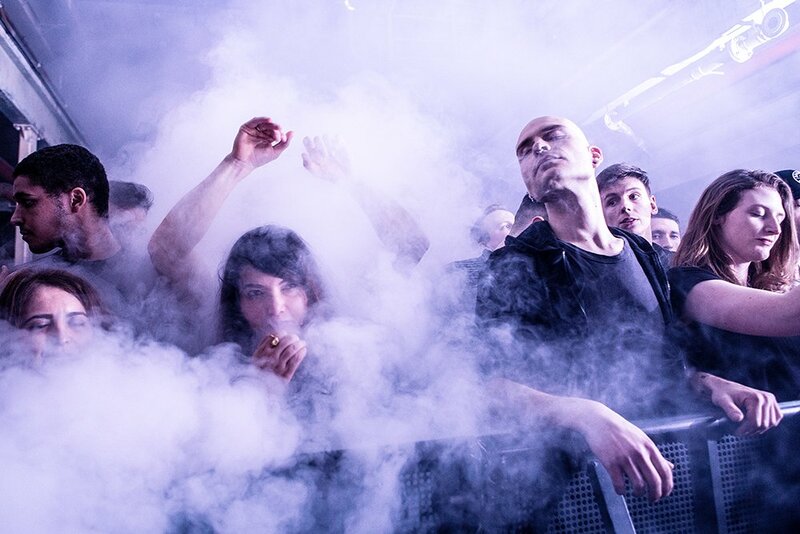 What would a gig without their homeland crowd be like? As the quintet from Hamilton, Ontario made their way on stage to the opening bars of their recent single ‘Relentless’, front man Max Kerman seemed ready for the challenge; unable to be still, like a boxer pre- fight night. Next they were straight into fan-favourite, ‘Leather Jacket’. Kerman found himself hanging from the stage support to get as close to the audience as possible without standing on their actual heads. He orchestrated the crowd throughout the night, reliving anecdotes behind song lyrics and making sure we learnt the three rules to abide by to have the best possible time: “sing, dance and look after one another”. Though most of the audience took their time to get used to the rules, it’s never a good sign when the singer describes a crowd as “attentive”. The Bristol audience may not have been as lively as expected for an Arkells event. With so many Frank Turner t-shirts on display the majority of the audience were probably quite new to the world of Arkells and needed a few gigs before ending the show half -naked and hoarse. Kerman did what he could to to get the party started, including jumping off stage to sing on top of the bar during Eyes on the Prize. The band carried on playing with gusto, so used to seeing their singer going on a wander to even miss a beat. The new tracks from Rally Cry were missing the horn parts from the new album, but what they lacked in horn power they made up for in charisma. By the time they dropped ‘Saturday Night’, the Fleece crowd were ready to pretend they didn’t have to be up at dawn for work the next morning and finally started playing by the rules. Sick notes were available on request from ‘Dr’ Max. The second half of the set began to heat up, highlighted by Kerman being swallowed up by the crowd during a barn-storming rendition of ‘Knocking at the Door’, and a young fan called Kacey being pulled up on stage to play guitar and sing during ‘Private School’. They finished with ‘Hand Me Downs’, which half the crowd knew due to a recent collaboration with a certain someone called Frank Turner. As the band left the stage the crowd refused to stop singing the chorus until they reappeared beaming a few minutes later, along with support act Felix Hagan and the Family doing their own special rendition of the Whitney Houston classic ‘I Wanna Dance With Somebody’. As the number on stage reset from a twelve piece down to five it was time for one last song. Kerman asked us to hold arms with the person next to us and sway along to a brilliantly Killer-esque version of ‘My Heart’s Always Yours’, before saying goodbye. Arkells returned post show to chat to their fans and even help pack away their gear. This from a band who can play arenas back home. It is rare to find a band who can put their egos to one side and just seem to be in love with their music and their audience.